The Delta State Government has expressed optimism that the Nigerian Petroleum Development Company, NPDC/First Hydrocarbon Nigeria Joint Venture, in the Asset Management of OML 26, will be beneficial to the Host Communities and encourage other investors in the Oil and Gas Sector to invest in Delta State. The State Attorney-General and Commissioner for Justice, Barr. Peter Mrakpor stated this while signing a Global Memorandum of Understanding, GMoU, midwifed and negotiated by the Delta State Ministry of Justice, through the Department of People’s Rights, between NPDC/FHN and Host Communities in Oil Mining Lease 26. Barr. Mrakpor, while reiterating the State Government’s position in promoting and boosting economic and investment activities, maintained that the Senator Dr. Ifeanyi Okowa administration, is irrevocably committed to providing the necessary peaceful, conducive and business friendly environment for investors and operators in the Oil and Gas Sector. The Delta Attorney-General, who equally charged First Hydrocarbon Nigeria and NPDC for the Asset Management Team of OML 26, to be responsive in dealing with its Host Communities with understanding and transparency, expressed hope that the marriage of both Companies, where NDPC and FHN has 55% and 45% equity holdings respectively in OML 26, would be for the mutual good of all. The Global Memorandum of Understanding set out the obligations on the side of the Host Communities involving four Clusters of Oil Producing Communities and Pipeline Communities with three ethnic nationalities of Isoko, Urhobo, and Ndokwa and NPDC/FHN. 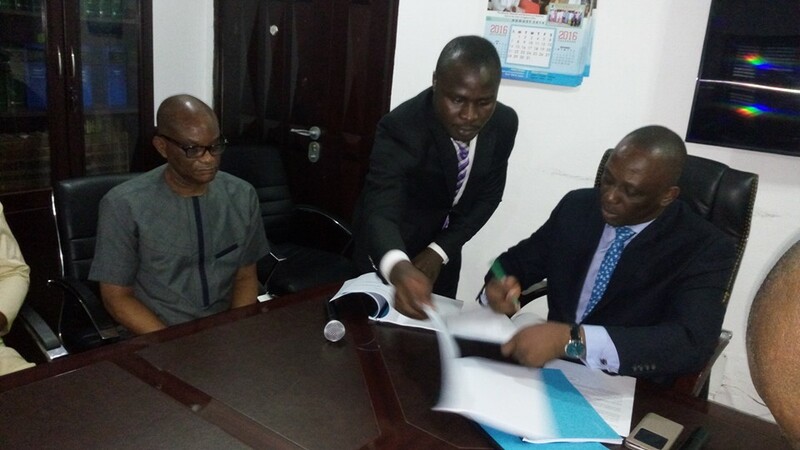 The Host Communities in the signed GMoU also agreed to undertake all reasonable and necessary action to provide a peaceful, conducive and enabling environment within the Communities for the smooth operations of the Company, its personnel, contractors and agents without disturbance, interference, threat or disruption. NPDC/FHN on its part will provide funding of Community Development Projects, funding of Capacity Building Programmes, Traditional Ruler’s upkeep disbursement, farm establishment and provision of employment for indigenes of the area. Responding on behalf of the Asset Management Team, at the brief but orderly ceremony, a Senior Technical Manager of First Hydrocarbon Nigeria, Adol Afemari, thanked Officials of the Ministry of Justice and those of the Oil and Gas consortium, for midwifing the process that culminated in the signing of the GMoU. He promised that it was not going to be business as usual and while expressing their commitment in ensuring that they lived up to their obligations, called on the Communities to reciprocate in ensuring that all parties maximize the full benefits of the GMoU.